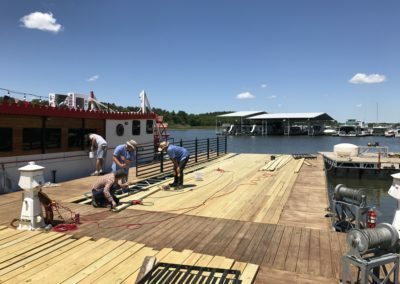 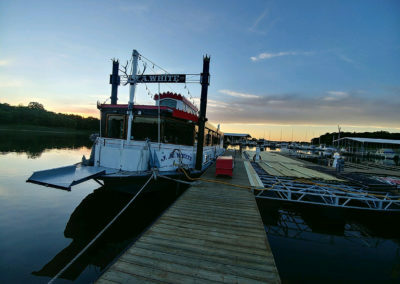 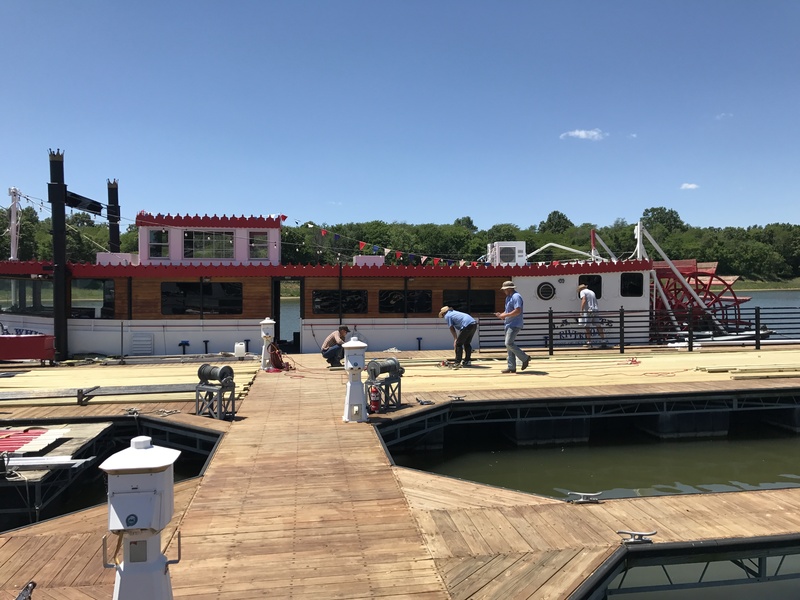 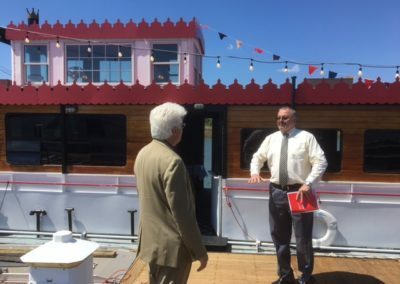 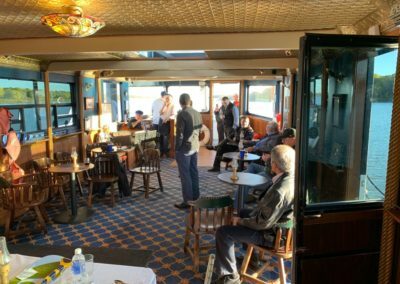 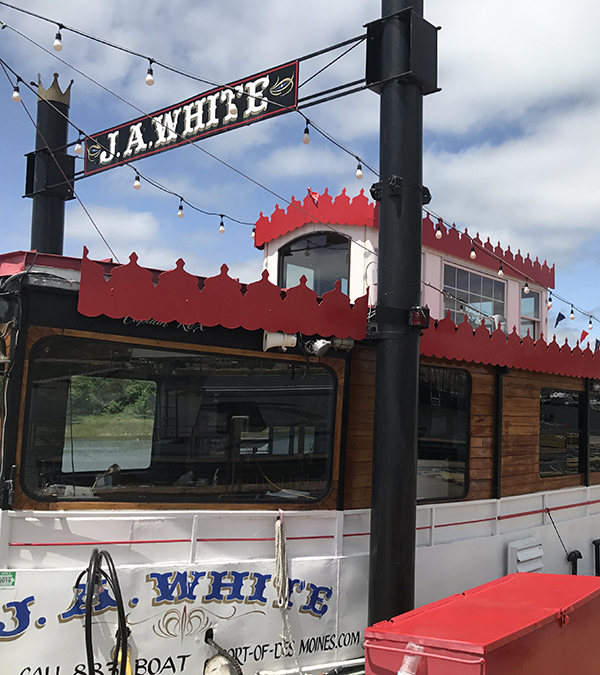 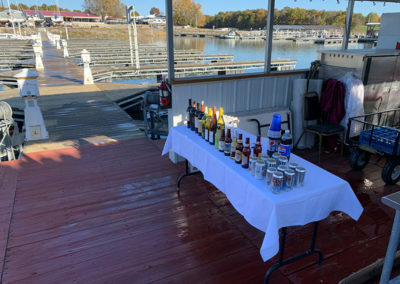 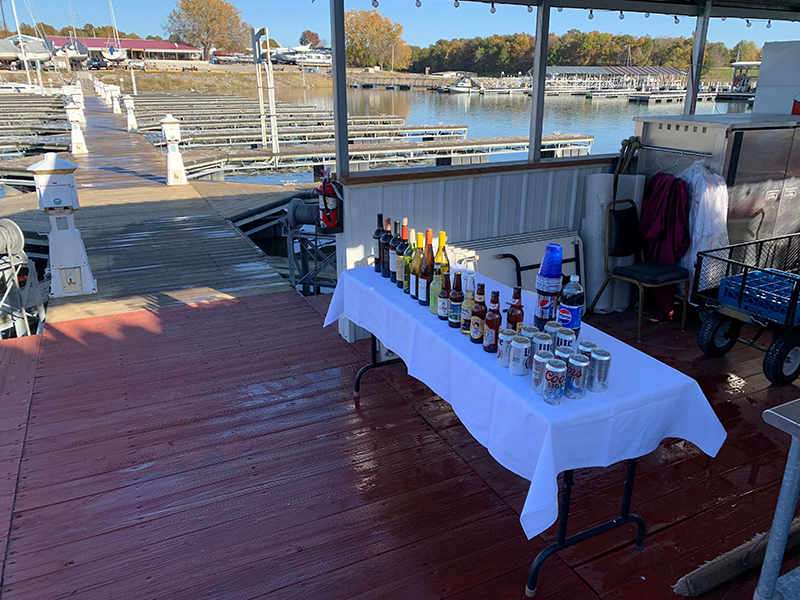 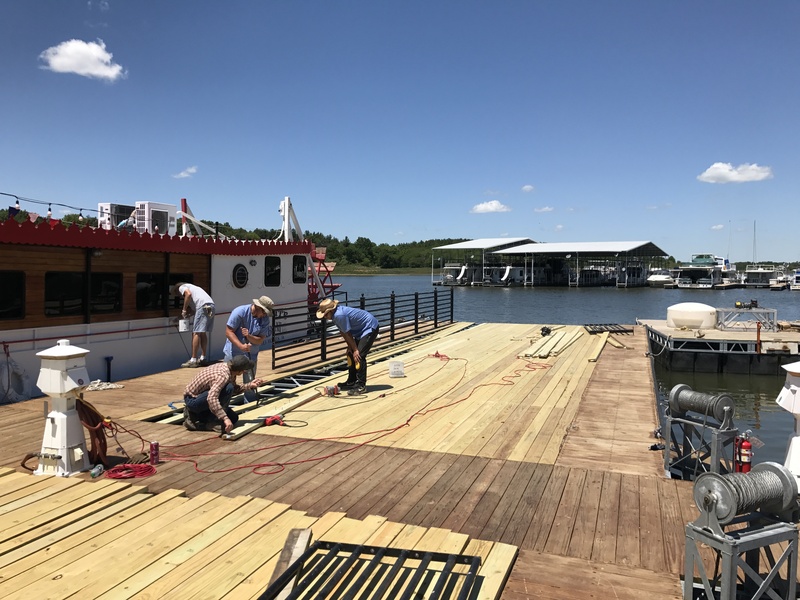 Whether it’s a private chartered cruise or a relaxing cocktail party overlooking the lake with friends, let the Jon Anderson White Riverboat and Wheelhouse Room host your next event. 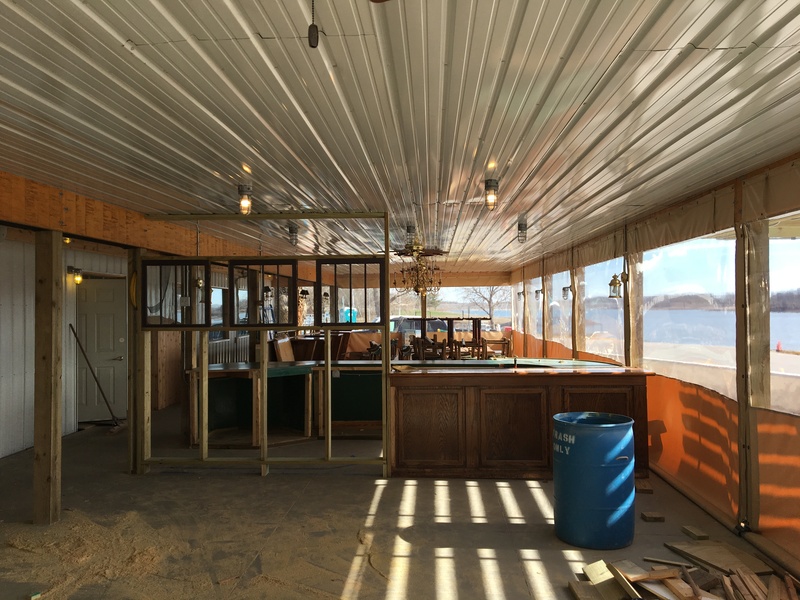 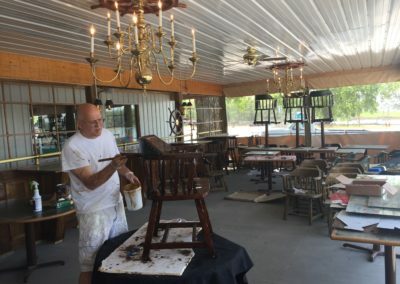 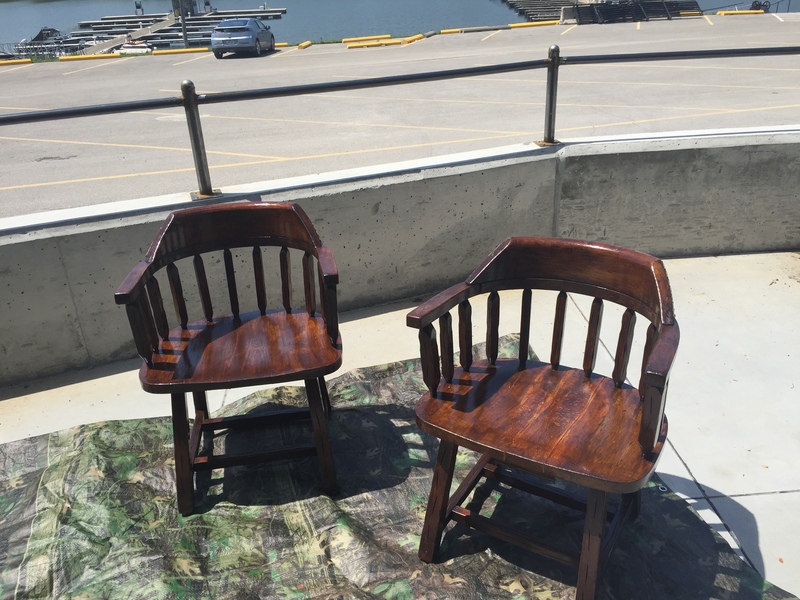 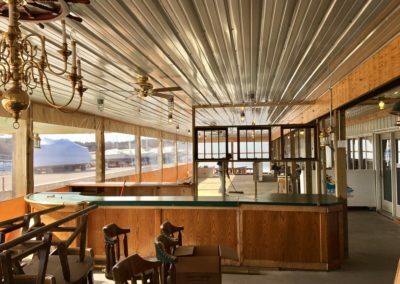 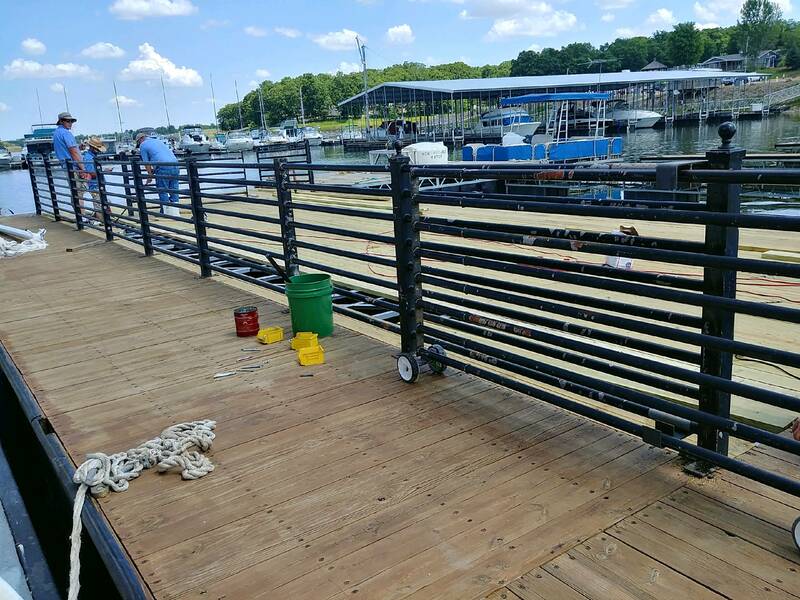 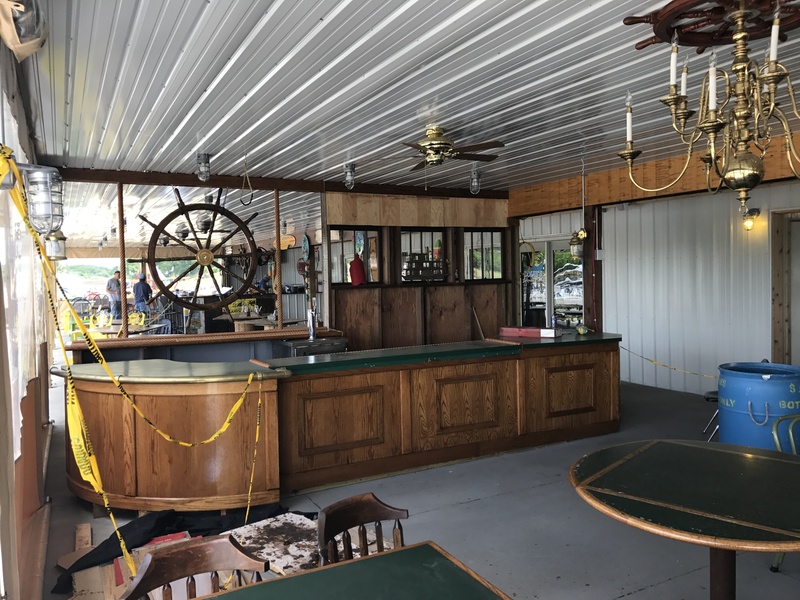 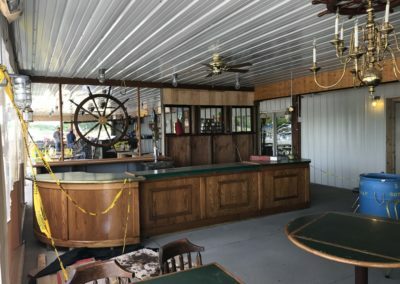 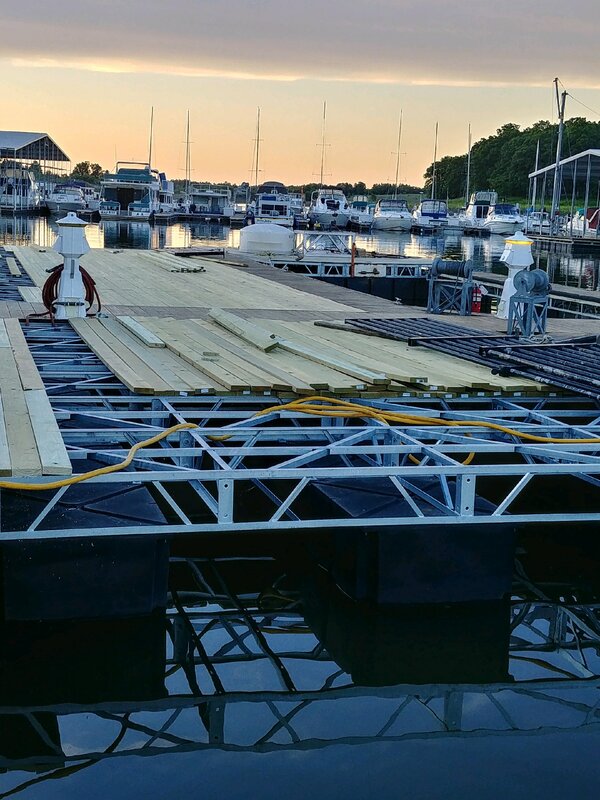 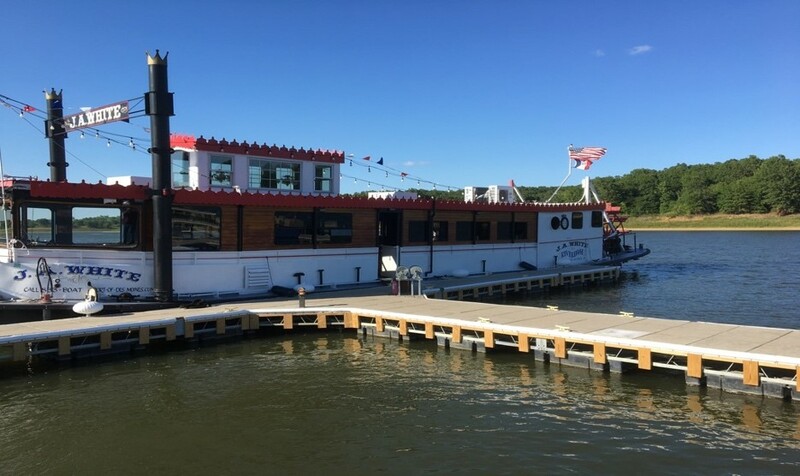 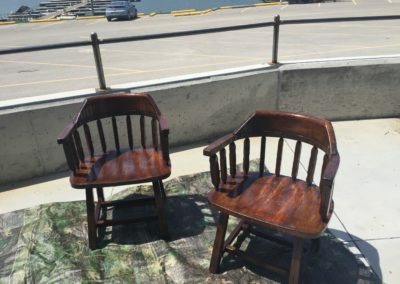 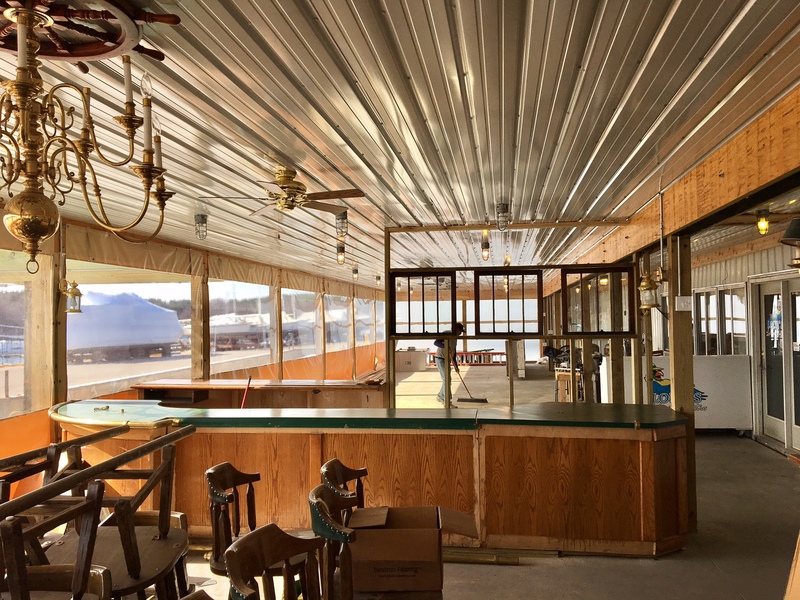 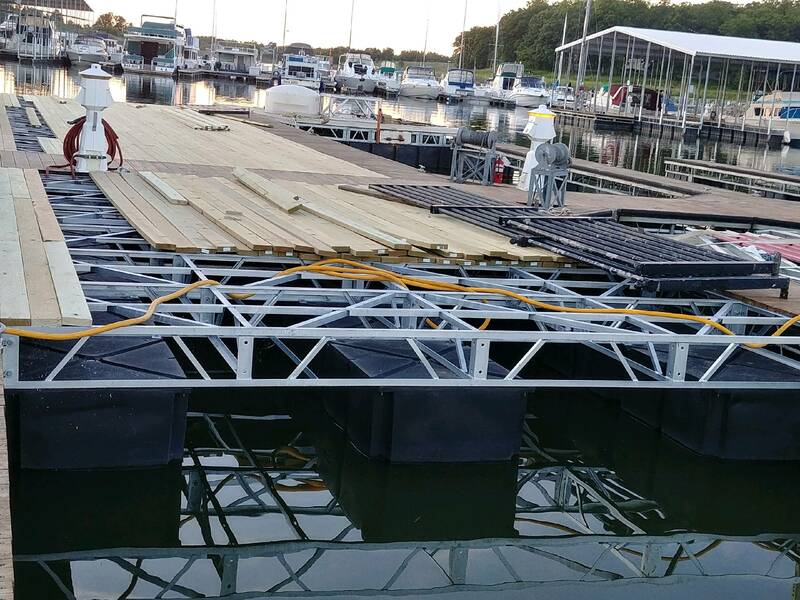 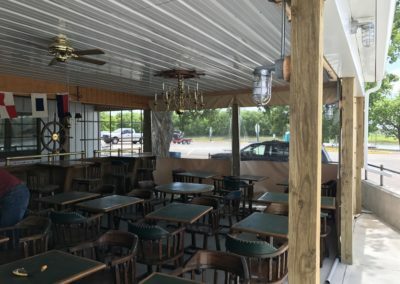 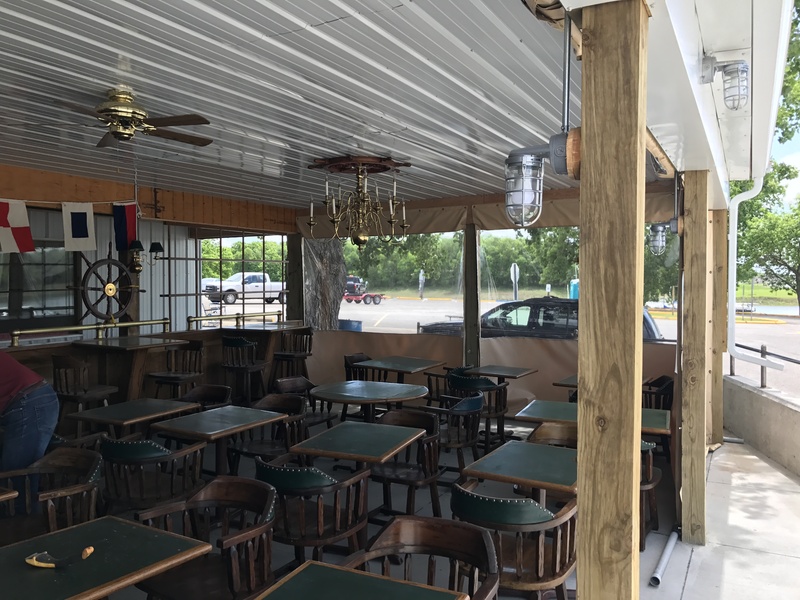 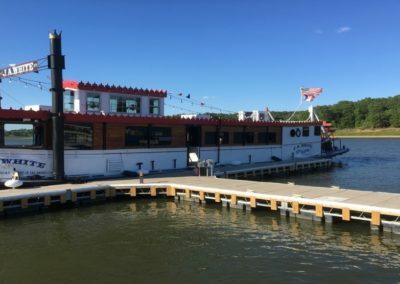 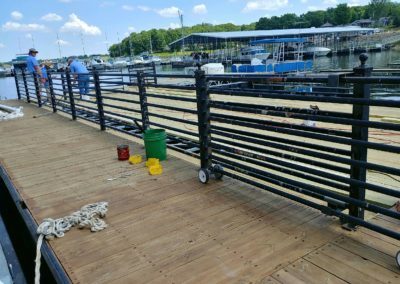 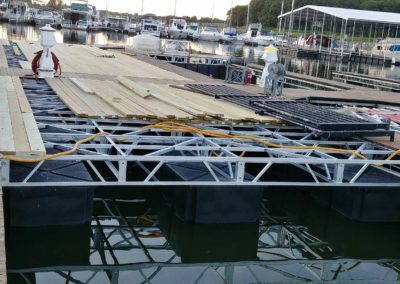 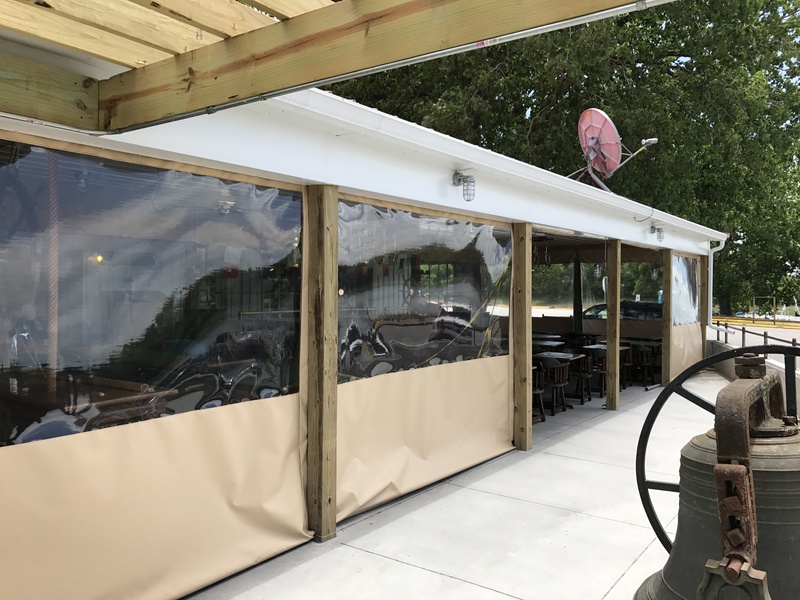 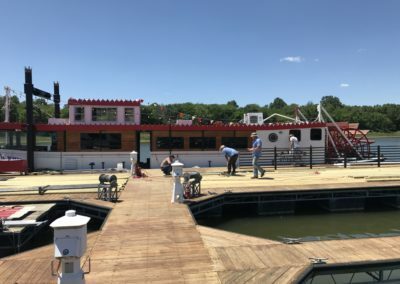 The 2019 cruise season is full steam ahead and fully under way from the beautiful views at Rathbun Lake Marina. Follow us here and on social media to have all the latest trip scheduling information. 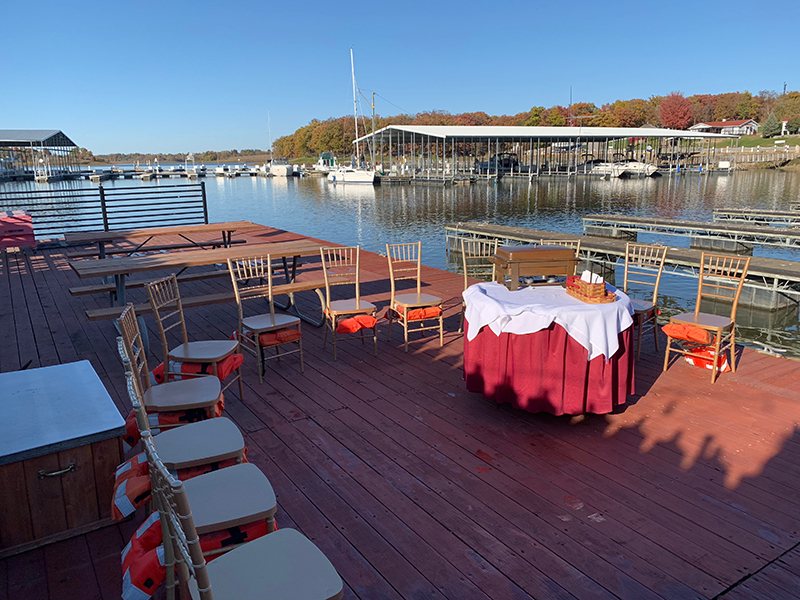 Our friendly crew is here to serve you and make your event a fun and memorable occasion. 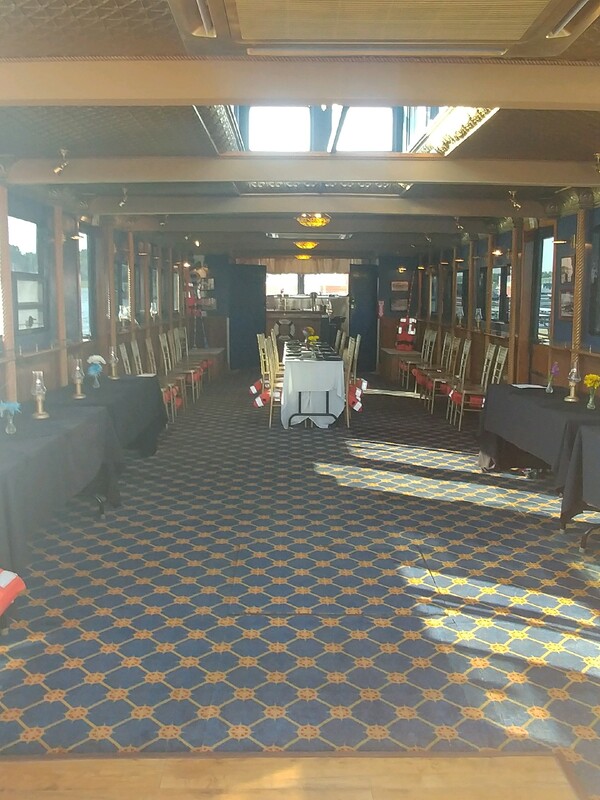 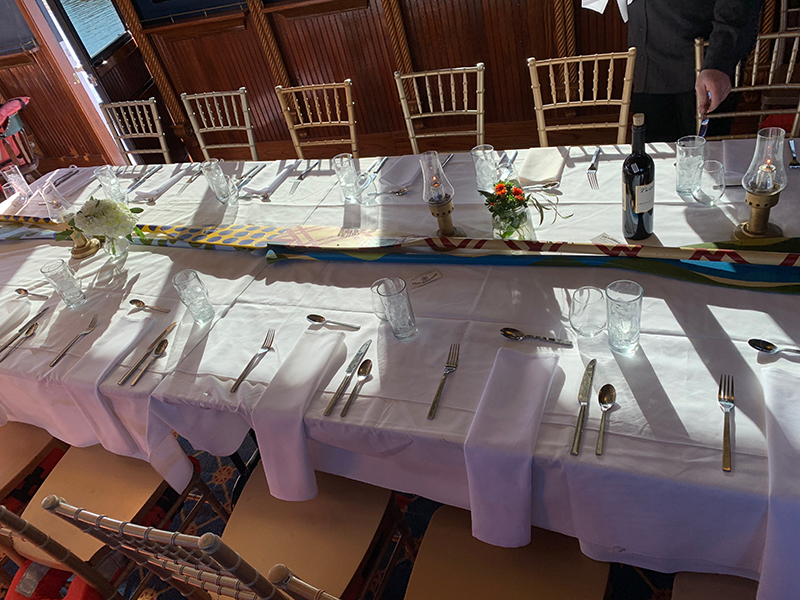 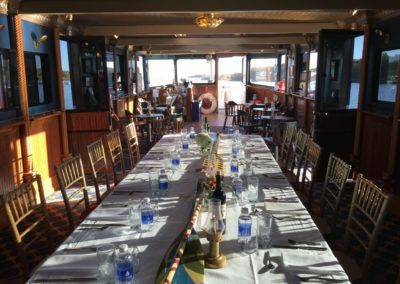 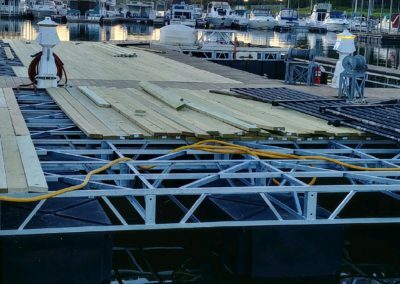 Our Riverboat is resplendent in the style of the Golden Era of river travel with a décor of gold Chiavari chairs under a gilded pressed tin ceiling, custom carpet, solid oak rope columns and Royal Blue walls. 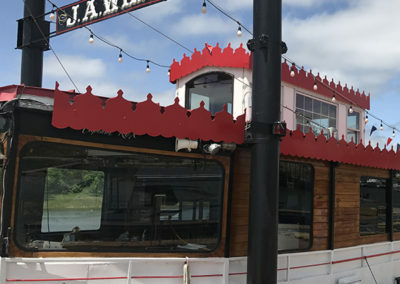 The Riverboat also has modern amenities, such as air conditioning, handicap access and two restrooms. 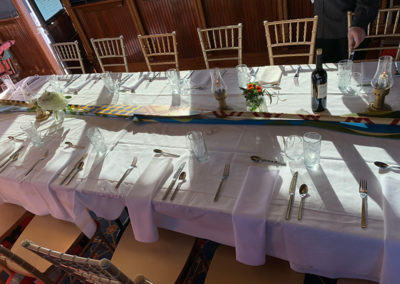 We provide bud vases, dinner china, linens, glassware and silverware for all food service except as noted. 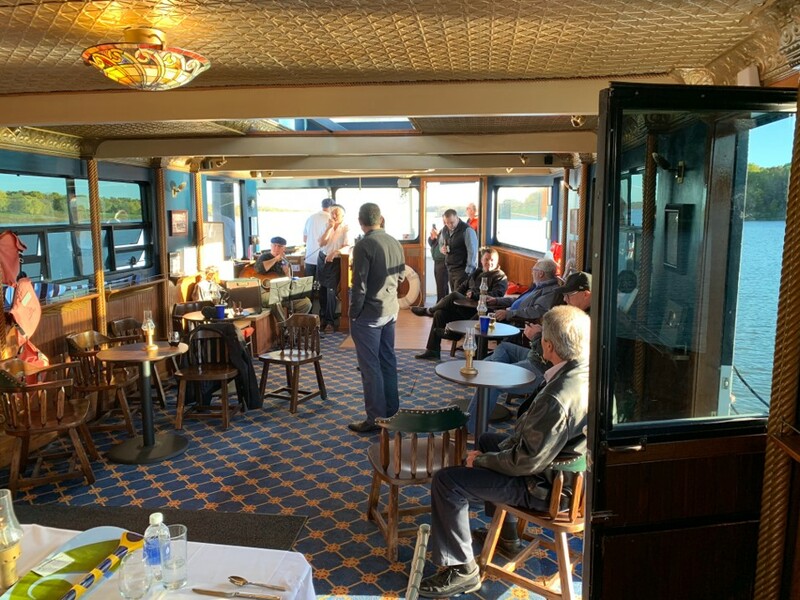 Charters prevail, so after a great round of golf, a day of swimming, hiking or biking at Honey Creek Resort, your group is sure to enjoy a great meal accompanied by our ships live music choices. 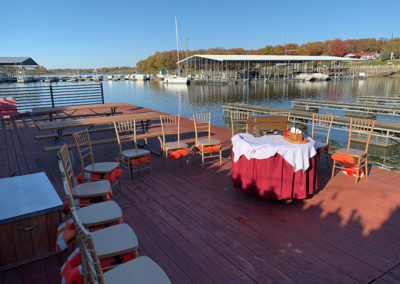 We offer many live entertainment choices from a visit with Mark Twain and a Banjo Maestro to Jazz Trios. 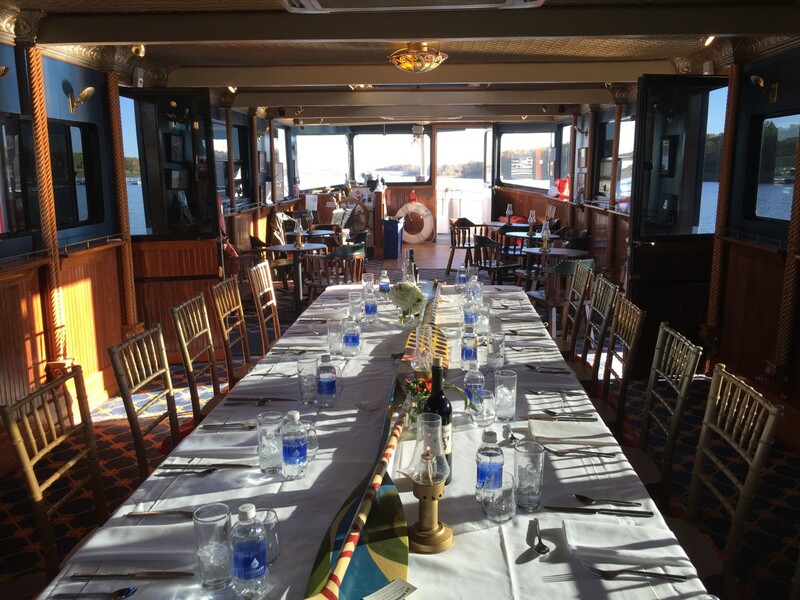 Our Bose sound system also offers you the ability to bring your own CDs or iPod. 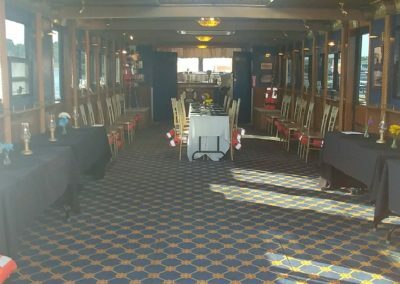 Ticketed cruises start in June! 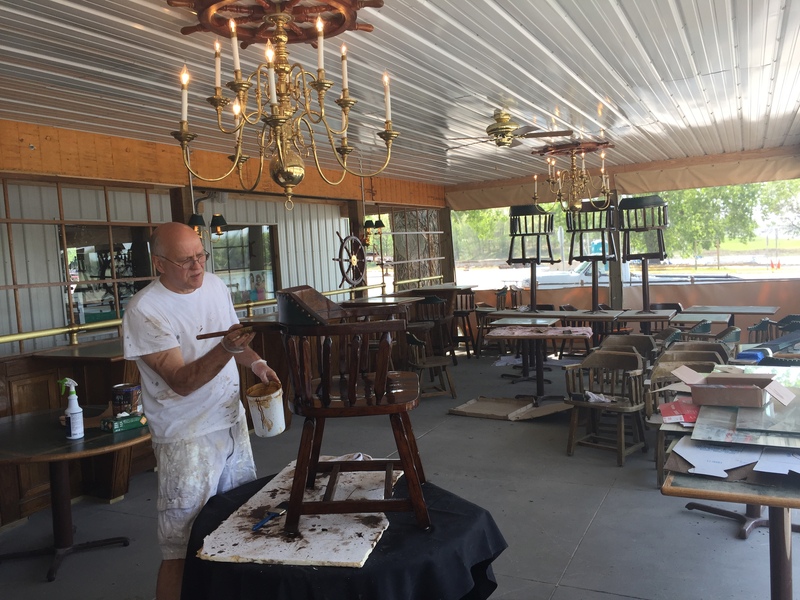 Making the Wheelhouse Room very pretty!